The Italian designer Harry Bertoia designed a whole series of seating furniture, reclining chairs and stools for Hans and Florence Knoll at the beginning of the 1950s. Including the plastic bar stool of the Bertoia series, which is, since 2015 – on the occasion of the designer’s 100th birthday - available again. 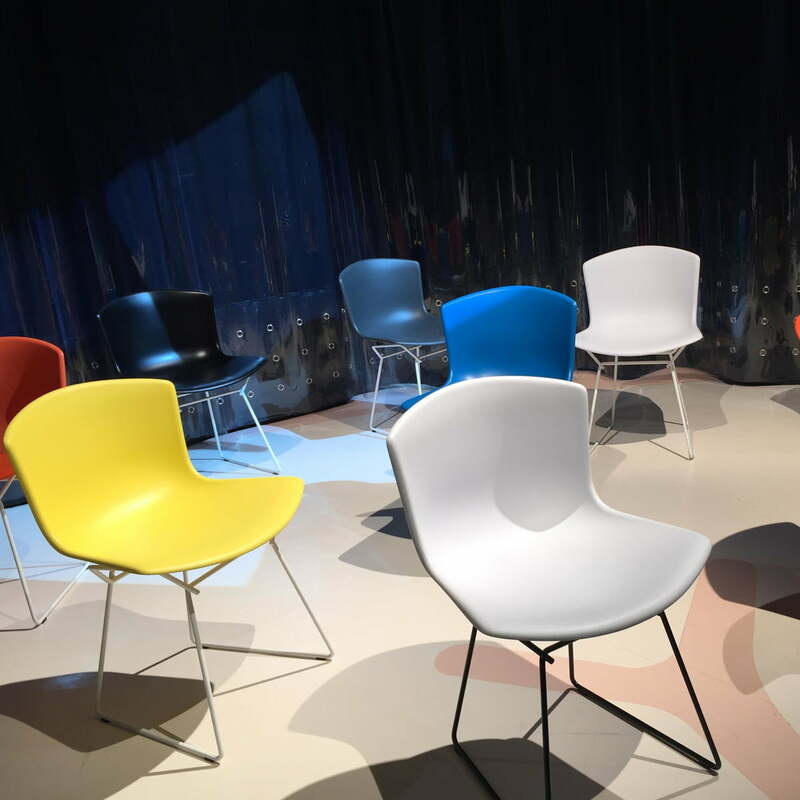 The plastic chair is a variation from the Bertoia wire frame family that are all hand drawn and hand welded in a highly complicated process. 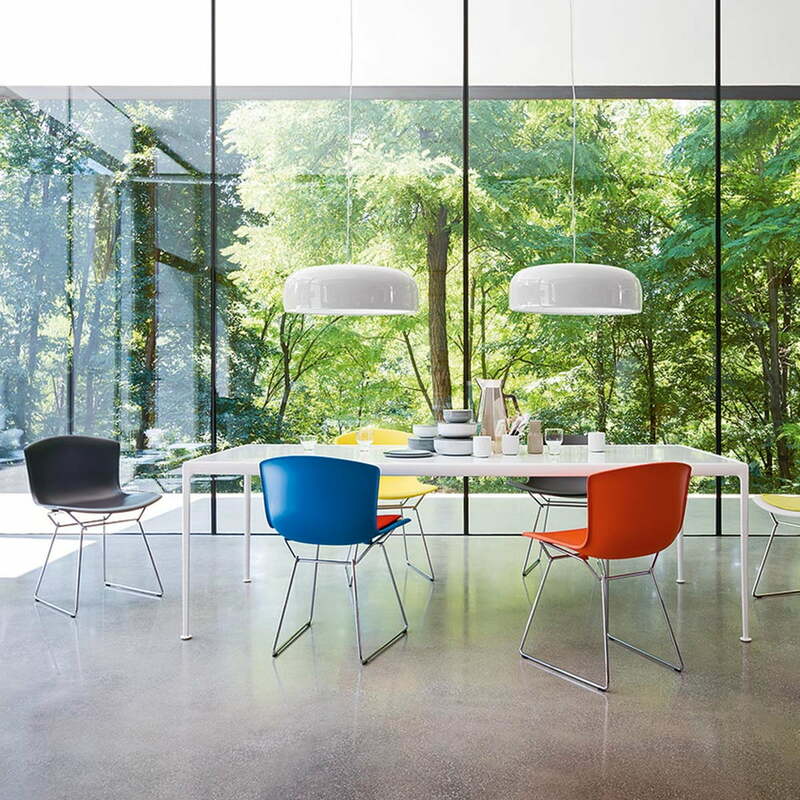 The Bertoia plastic chair consists of a plastic seat shell in various colours and a welded steel profile that is available chrome-plated or upon request with white or black paint. 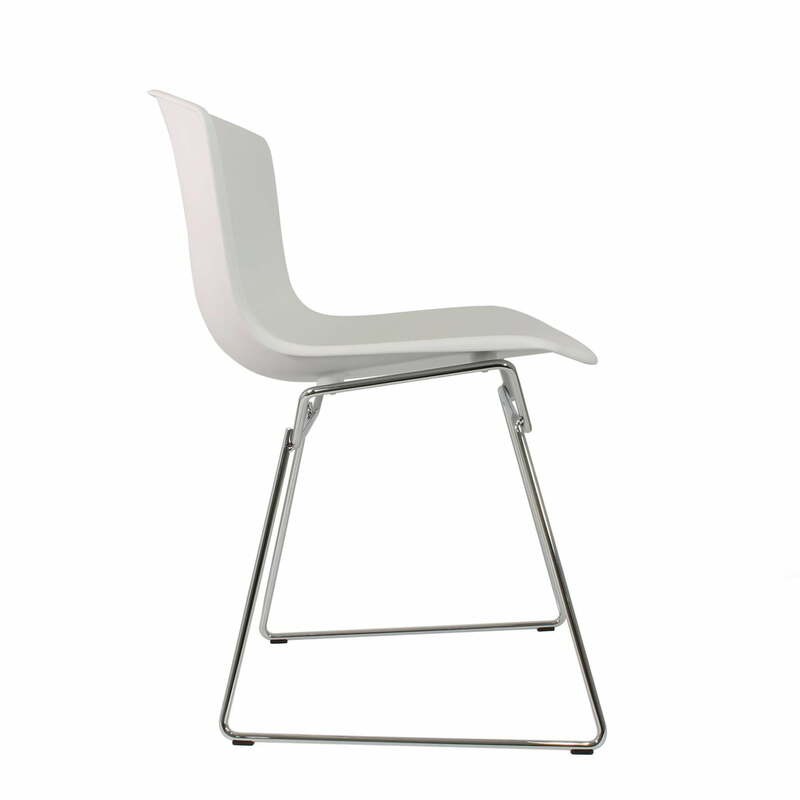 The delicate appearance of the chair belies the strength and durability of a design and is furthermore also amazingly comfortable. With the optional seat cushion the comfort of the Knoll chair can still be further increased. 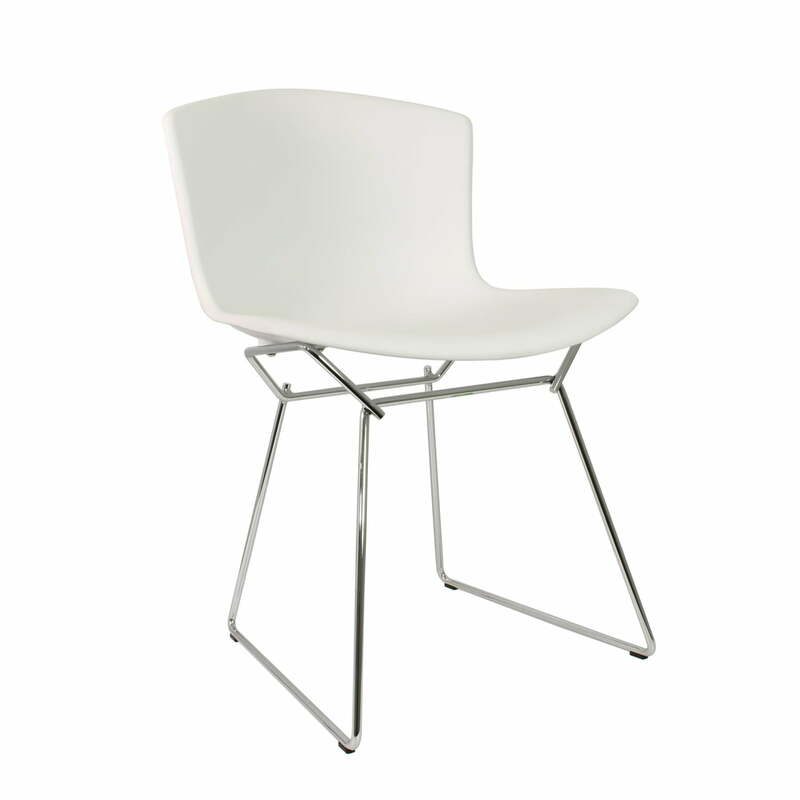 Single image of the Bertoia plastic seat by Knoll. A design chair with white seat and chrome plated base. The logo on the chair frame stands for authenticity. 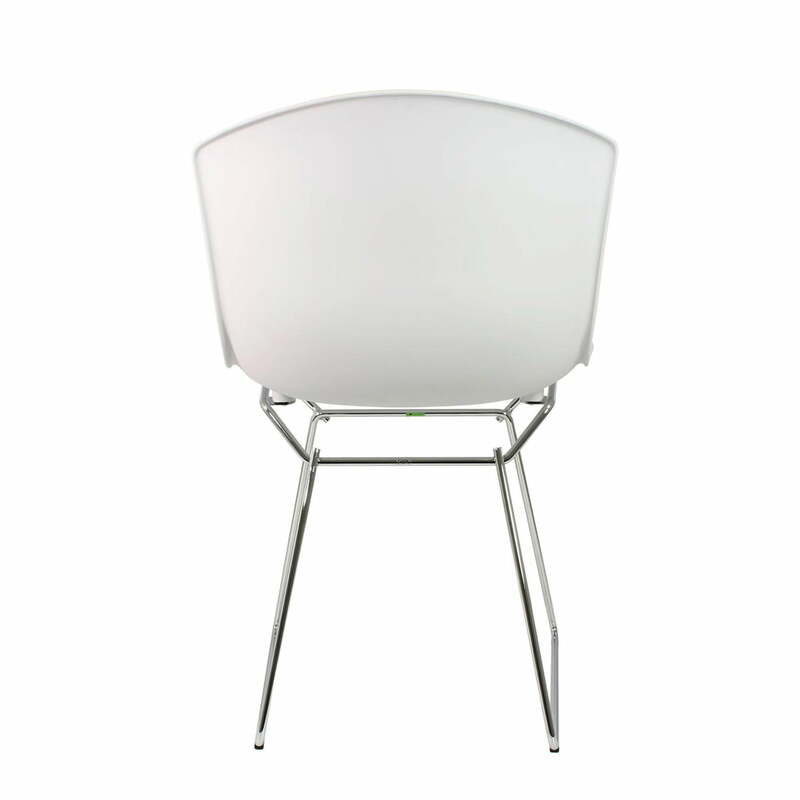 Single image of the Bertoia plastic seat for Knoll. 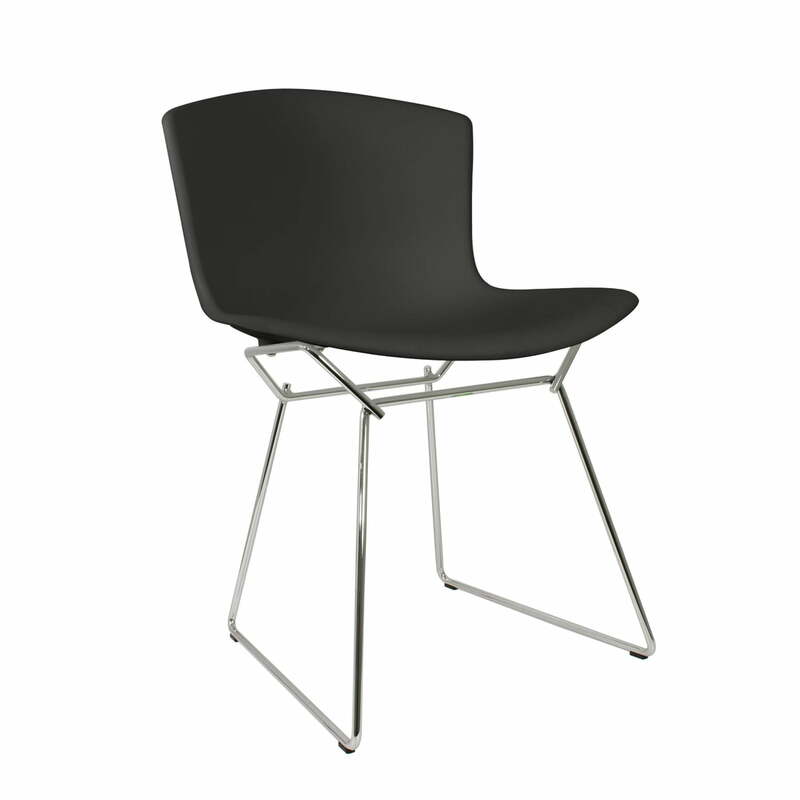 A comfortable and filigree chair with black seat shell made of plastic and chrome-plated steel base.